Directions Rub well on affected area. Repeat 3-4 times daily. For children under 2, consult a physician. Uses Provides temporary relief for aches and pains of muscles and joints due to simple backaches, arthritis, strains, bruises and sprains. 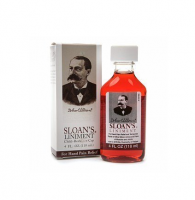 Tiger Liniment has been used by over one-third of the world's population for nearly 100 years. It is an effective external analgesic liniment sold in 70 countries worldwide. 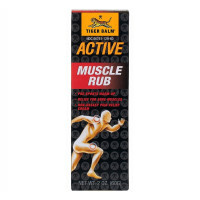 Tiger Liniment's concentrated formulation penetrates quickly and provides effective temporary relief. Warnings For external use only. Avoid contact with the eyes. If condition worsens or symptoms persist for more than 7 days or clear up and occur again within a few days, discontinue use of this product and consult a physician. Do not apply to wounds or damaged skin. Do not bandage tightly. Keep this and all drugs out of reach of children. In case of accidental ingestion, contact a Poison Control Center or a physician immediately.